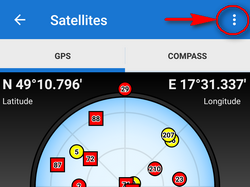 The GPS/Compass button switches on a separate two tabbed window displaying GPS skyplot and Compass. 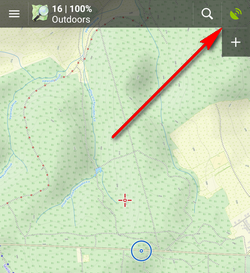 When you hold the GPS/Compass button, a menu appears for a fast switch of GPS status. 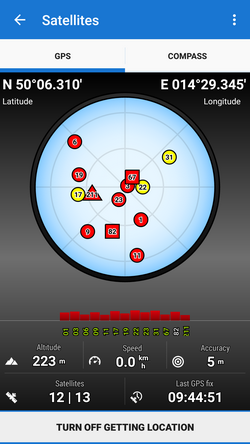 The first tab displays the skyplot - placement of monitored GPS satellites and other useful information like current altitude, speed, GPS accuracy, current coordinates, number of fixed/visible satellites and time of the last GPS fix. 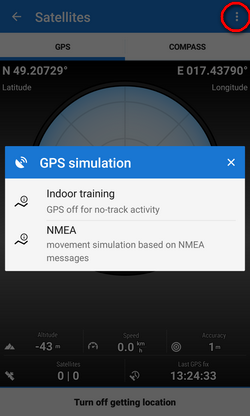 Tapping the skyplot or the button in the bottom switches GPS on/off. 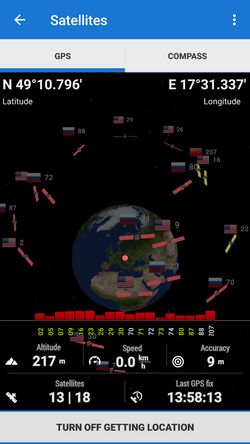 The globe can be enlarged by pinch zooming and rotated. 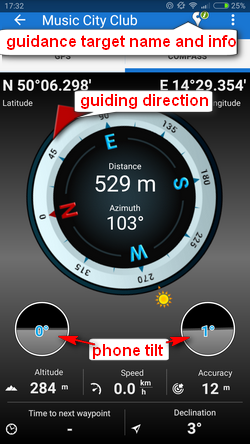 The other tab displays the compass, azimuth, distance of your navigation target and tilt of the phone. 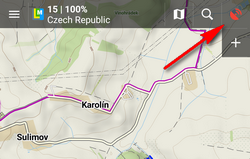 Lower line contains also fields for time to next waypoint active in navigation and declination value. The compass ring displays current position of the Sun in the sky . Tapping the tilting indicators opens a menu offering sensor calibration.